**First of all, let me just say that this is simply my perspective on a tweet that was brought to my attention last week by Byron Armstrong (@byronarmstrong). Toronto has a few very reputable magazines that support all genres of music from rock to R&B. 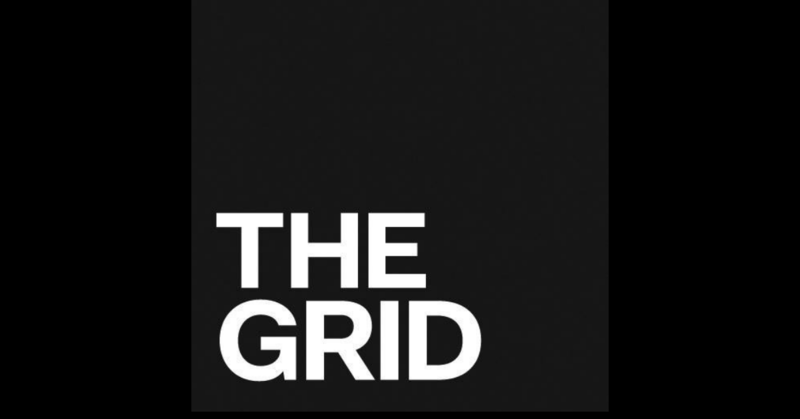 But last week, one of my favourite reads – The Grid – took to their pages with an article that had me utterly confused and shaking my head in disappointment. Let me take it back a notch. With a season of the MuchMusic VJ Search on the horizon, a story was published in The Grid on April 3rd entitled Pass the mic under their Culture_television section. It was to be an oral history about the past VJ’s and they’re coming up in the MuchMusic ranks. Now, the list, of course, had a few notables. In notables, I mean those who I can say made a difference for me in watching the channel. Christopher Ward, Kim Clarke Champniss, and George Stroumboulopoulos. The rest of the list wasn’t really for me. But what was absolutely insane to me was how I could be reading an article on MuchMusic VJ’s, and not even see any love for anything remotely urban or about any of the influential VJ’s such as Tony ‘Master T’ Young, Michael Williams, Namugenyi Kiwanuka, Juliette Powell, Traci Melchor, Rainbow Sun Francks, Sarah Taylor, Monika Deol, and Matt Babel not even get so much of a mention. I can understand that some VJ’s may have not wanted to participate, that’s their prerogative. But that really can’t be used as a crutch. May I add that there isn’t a word from VJ favourite Erica Ehm herself, but there is a video. Yes, I do understand that it was in no way to be a definitive story. But, if you’re going to do a piece that is supposed to take into consideration the diversity and ‘”cultural background, musical purview, and gender” of MuchMusic and its longtime viewers, then you definitely can’t just jump over any of the aforementioned VJ’s in the group above. I mean, not even a mention of Monika Deol?? Electric Circus gets absolutely no love at all?! I believe that each VJ I mentioned above had an integral part in the growth and development of MuchMusic and its VJ presence. When I read the piece and the comments under the post last week, a few people had the nerve to take the “chill out” stance in regards to the omissions. Albeit this is coming from the same people who did happen to catch Electric Circus, X-Tendamix, Da Mix, Soul In The City and any other show or segment hosted individually by the aforementioned group. Whether or not it was caught in passing or watched religiously, that doesn’t matter. My point is, each one of the above VJ’s left their own stamp on the MuchMusic VJ brand, and some more than others (if I may so myself). It’s not about the issue being a popularity game, it’s about reflecting what is accurate. The piece itself is simply inaccurate. These shows were watched by millions of music aficionados who searched for new music and needed their new music. Being home at a certain time in order to catch those shows were a music lover’s dream. Especially for the shows that brought to our attention tracks outside the Top 40 we would hear on the radio. This was our Dallas, our Falcon Crest, our Scandal…it was ours. So simply omitting it from the piece because the VJ didn’t respond to numerous requests doesn’t quite fly for me, in terms of reasoning. Now, the dialogue between Byron and Sarah was a good one, but it was just the tip of the iceberg. I mean really, what can really be said in 140 characters? I hope I’m not being naive in any way saying that it’s great Sarah actually responded. I hope she is responding to the emails that I am sure are filling her inbox as well (my friends, that’s just me being forever optimistic of course). Open dialogue is key in undertaking the matter. The feeble attempt of an update certainly wasn’t enough to settle the affair at all. Honorable mention at the end of the post with links to some of the VJ’s on popular shows with a few mentions would have been a great place to start. I think we would have been alright with that. It surely would have been better than nothing at all, it would have been a start of some sort. On the other hand, writing an article that has absolutely voided the mention of familiar faces in VJ urban land greatness? Nope. All I’m saying is, remember your readers. Because in this article, your urban readers were basically kicked to the curb and totally disrespected. My culture, and others that I was immersed in musically, where not reflected in this piece. That leaves me terribly disappointed to say the least. I truly wouldn’t have become the music lover and 14-year deep writer I am today without the influence of these shows and then some. Now the question that remains is – what is going to be done about it all? How will The Grid respond to the whirlwind of comments and backlash that they’ve received? Will they actually respond on any level? Only time will tell and I will be among the ones waiting to see. But something in my gut tells me, that the sad update given last week will be the end of it all. Someone told me the other day not to hold my breath. I’m forever the optimist and I will continue to hope for the best, even though I do know better.